Join the Law Club on Friday, February 23, for “A Brief History of Anonymous Juries in Colorado,” presented by Joe Michaels. Federal courts employ anonymous juries in special cases based on need. This “need” originates from the nature of the crime (e.g., organized crime trials), the nature of the accused (e.g., particularly dangerous + additional considerations), or special circumstances (e.g., specific threat to the jury). 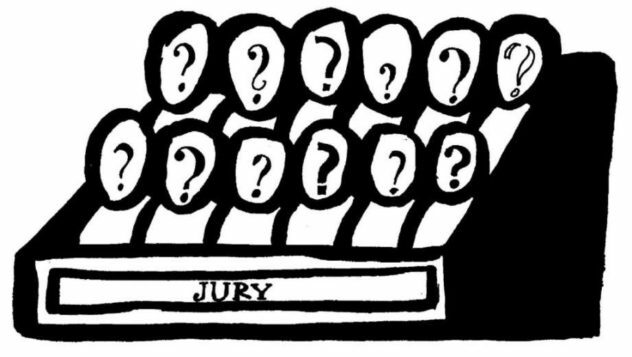 Anonymous juries occur where juror information is withheld from both the public and the parties. But anonymous juries can implicate a variety of constitutional concerns ranging from the presumption of innocence, to First Amendment fair and public trial considerations, to equal protection. This CLE will trace the federal backdrop creating and applying anonymous juries. It will discuss animating principles behind employing anonymous juries as well as necessary protections to ensure the safeguarding of a defendant’s constitutional rights. Next, it will turn to various state and federal treatment of the “numbers jury.” It will conclude by reviewing Colorado’s treatment of the same, including procedures for a trial court to ensure the full panoply of constitutional protections. Joe Michaels is a Senior Assistant Attorney General at the Colorado Department of Law. He currently practices in the Criminal Appeals Section, defending criminal convictions in state and federal appellate courts. For this lunch, we will be applying for 1 general CLE credit, and the cost to attend is $30. Please register by Tuesday, February 20, by 12:00 p.m.